When it comes to hiring HR consultants, Connecticut business owners can count on the experts at HR Knowledge. Our management team proudly boasts over 100 years of combined experience, and are incredibly knowledgeable in all areas of human resources. We offer HR consulting services Connecticut business owners can count on for recruiting, performance reviews, and so much more. Our consultants are committed to serving our clients when and wherever they are needed. That means that although we are typically brought in for one specific purpose, we are more than capable of wearing multiple hats to consult on any HR need. When business owners and management teams need outside help to manage and streamline their complex HR needs, they can turn to HR Knowledge. Here at HR Knowledge, we are proud to be known amongst our clients for our concierge-level of services and HR solutions. We are perfectly situated to serve clients throughout the Northeast, and host a variety of clients including small to medium sized businesses, charter and private schools, non-profits, and high tech companies. When it comes to HR consulting services, Connecticut organizations can rely on HR Knowledge to be there for them. We will get to know you and your organization, ensuring that all of your HR needs and requirements are tailored to fit your company and workforce perfectly. When you are searching for HR consulting services in Connecticut, look no further than HR Knowledge. Our consulting services are designed to help you get back to focusing on your core responsibilities while streamlining all of your HR needs and processes. To learn more, call our office today at (508) 339-1300, or contact us online. 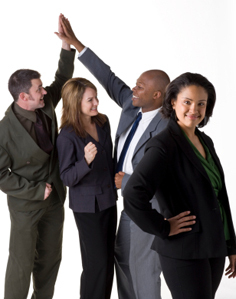 The HR consultants Connecticut business owners can rely on are found at HR Knowledge.